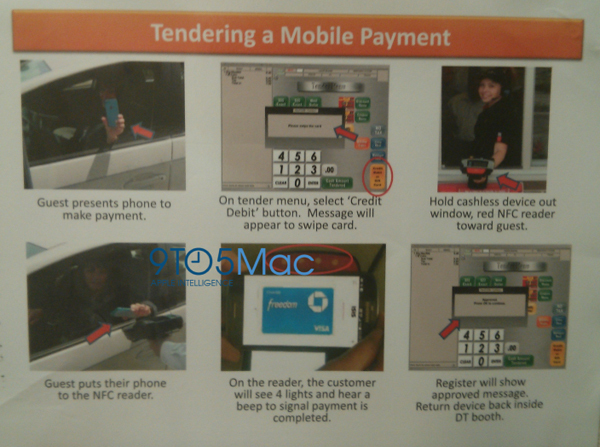 Apple Pay is coming, even to the McDonald’s drive through. With the mobile payment service set to launch as early as Saturday, the fast food giant is training employees on how the system will work. 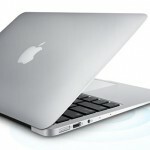 Some of the materials were leaked to 9to5Mac. As you can see from the image above, customers won’t have to hand over their expensive iPhone 6 or iPhone 6 Plus to make a payment. The drive through employee will extend the mobile reader outside of the window. You’ll just need to place a handset near the reader, and your transaction should be complete. Apple is expected to talk more about the mobile payment system during a special media event on Thursday. Also on the agenda include the unveiling of a new iPad Air, iPad mini, and iMac with Retina display. 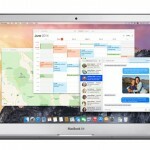 Rollout plans of OS X Yosemite should also be discussed. Over the weekend, an internal memo from large U.S. drugstore chain Walgreen’s said Apple Pay will launch this Saturday, Oct. 18. Apple has also started training its retail store employees about the service. In a recent beta of iOS 8.1, Apple Pay can be set up through the Passbook app. For other news today, see: Apple won’t be unveiling a Retina display MacBook Air this week, GT Advanced prepares to air Apple’s dirty laundry, and People are buying iPhone 6 and iPhone 6 Plus units in record numbers.